Are you ready for the enterprise wearables boom? As CIO of a growing company, you've been crucial to the digital transformation journey. You have mastered strategic technology initiatives, a tactical shift to the cloud, locking down and analysing data, and keeping on top of enterprise device management and 'bring-your-own-device' (BYOD) programs. But don’t get too comfortable, as the likes of Apple and FitBit usher in increasingly popular wearable technologies – today it’s mostly activity tracking wristbands and smartwatches, tomorrow its smart fabrics, digital accessories, and even electronic skin. Dependence on technology is not limited to enterprise. Consumers - including our own employees, colleagues and superiors - continually look to new devices and digital trends to plan their lives, track their own data, and seek personal improvement. But as the number of internet-connected devices goes up, so do the security risks and IT challenges. Some of these challenges will have already been faced and conquered with BYOD, while others will require new policies and technologies to be implemented. As the popularity and sophistication of wearables grows, IT teams must enable staff to get the most out of wearable technology without compromising network security and data privacy. A survey by PwC in 2014 found that 77 per cent of respondents thought wearable technology had the potential to make them more efficient and more productive at work, while 70 per cent expected their workplace to permit the use of wearable technology. But it’s not just employee expectations. Business leaders are starting to realise the potential of wearables, driving the prediction by Gartner that, by 2018, two million employees will be required to wear health and fitness tracking devices as a condition of employment. Gartner also predicted that by 2017, at least one exec at a top ranking global enterprise will have to wear a health and fitness monitor as part of their contract. “That’s something we do believe is going to happen, because you have to go through a health check and see that you’re in the condition to be a CEO or c-level exec, so rather than one-off check, this will be ongoing tracking to make sure they’re in check,” said Adrian Leow, principal research analyst with Gartner. IT leaders, it’s time to prepare your business for enterprise wearables, and the wear your own device (WYOD) movement. Just like BYOD before it, every new piece of wearable tech could serve as a backdoor for hackers to access sensitive company data. For those companies that don’t have an enterprise wearables program in place, IT teams will need to start tackling unmanaged wearables by developing company policy, securing network access points and managing data flow. “If CIOs aren’t going to be able to justify the business case for enterprise-owned wearable devices, then people are just going to bring their own. Before they know it, they’ll have all these new devices accessing the network,” said Leow. Currently, many generic wearables are not too great a challenge due to connectivity being limited to an app on a smartphone or tablet via Bluetooth. 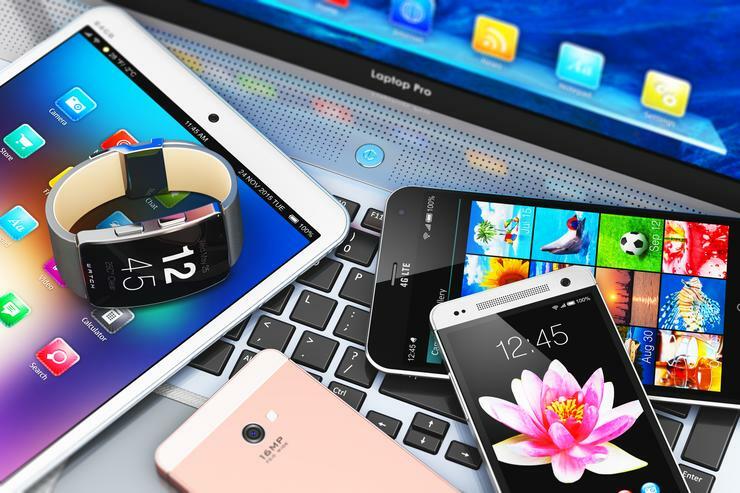 But as these devices become more sophisticated, developers will move in to create business apps for wearables. System administrators will have to factor this into their protective measures as the potential for malware infections from rogue and jailbroken devices grows. “You will also need to evolve security and compliance staff when embarking on a wearables project, because they will analyse the real risk to the corporate data on wearable devices,” Leow added. The business application of wearable technology is certainly not a new concept. Smart glasses and helmets, wireless headsets, plus tech-enabled lanyards and cards have helped to improve employee productivity across a number of industries. Sporting and medical fields have been utilising data from fitness tracking wearables and biomedical sensors to allow greater monitoring and management of physical health. Companies that have invested in these enterprise technologies can draw from this experience when implementing purely consumer-driven gadgets. Though in its budding stages, the main focus of this consumerisation will be on those early adopters of new wearable devices (for WYOD), but new issues arise as many enterprises hope to mimic the social and productive effect of these devices. Forty six per cent of people surveyed by PwC said they think their company should fund the use of wearable technology, rather than relying on a BYO model. If wearable devices are being implemented as part of an enterprise program, IT and security teams will need to identify any legal and ethical grey areas as data privacy concerns rise. Organisations like BP, Autodesk and Coles Express have issued fitness trackers as a corporate gift in employee wellbeing programs, often with added incentives for their staff to be more active and track their steps. “There’s a lot of research available recognising the value of a happier, healthier workforce - not just in terms of basic things like attendance but just that the attitude of staff and how they feel about the company,” said Steve Morley, VP & GM of Fitbit Asia Pacific. A cut on insurance costs in exchange for proven activity is a popular option in the US. In fact, 70 per cent of consumers would wear employer-provided wearables, streaming anonymous data to a pool, in exchange for a break on their company-provided insurance premiums. Other firms might use wearables to improve productivity, or monitor work behaviour. “The risk around corporate-owned wearables is more around what the corporations themselves are doing with such data, because now they have all this personal information, could they on-sell it?” added Leow. PwC found consumers across all demographics were wary of this impact, with 82 per cent concerned that wearable tech will invade their privacy and 86 per cent believing wearable tech will make them more vulnerable to security breaches. As a result, companies will need to proactively understand how to navigate these boundaries and the regulation that will inevitably come with it. These fears are not unfounded either. In 2013, the Federal Trade Commission in the US investigated twelve health and fitness apps and discovered that, in total, these apps transmitted information to 76 different third-parties, including ‘data brokers’, which aggregate and sell the personal data of millions of consumers to advertisers, the government, or each other. Manufacturers and suppliers of wearables must play their part too. With the introduction of Apple Pay to the Apple Watch, the tech powerhouse shifted towards a process called ‘tokenisation’, which uses a unique series of numbers to validate the customer’s identity when making a payment, in the place of actual card numbers, removing any sensitive data that can be exploited. Health tracker provider Fitbit, which has been blowing up in the corporate space, requires a robust data privacy position, according to Morley. “We don't sell any data. The broad principle of our policy is the data is owned by the individual, and the only way data is shared or can be shared within a corporate environment or beyond is if an individual gives Fitbit and their employer permission,” Morley said. Should an enterprise be looking to strategically use wearables to invest in their people or improve the bottom line, then a human-centred design is crucial to creating a seamless wearable experience that provides not just data, but data-driven insights. CIOs and IT departments need to be aware of are potential setbacks that may come when introducing new wearable tech if it doesn’t meet user needs and preferences. “Wearables will require a new set of design requirements and user experience requirements that IT may not have invoked in the past,” the PwC report reads. In the PwC survey, 83 per cent of respondents cited simpler technology as an important benefit of wearable tech, while 41 per cent listed ‘seamless integration with other devices’ as a top reason to adopt wearable tech. Another key challenge will be finding a solution that suits everyone, with varied preferences expected across different demographics. “With device interface, the usability and readability is not going to be for every employee out there – for example, how can you make this app usable for an employee that might need reading glasses to be able to see that smaller interface?” Leow said. Meanwhile, companies must be cautious to note the physical materials used to create wearables and what reactions these might cause. In 2014, FitBit was forced to conduct a voluntary recall of its Fitbit Force product following multiple reports of user skin irritation. In adopting an in-house wearables strategy, whether it be supporting WYOD or running an enterprise wearables scheme, it’s important to ensure you have a long term vision that suits your company’s unique circumstances and customers. “If CIOs want to explore all the opportunities of wearable tech, they really need to start brainstorming how using wearable devices can be unique to them, or provide that competitive advantage in the market,” said Leow. The current impetus on health trackers and smart watches is will be forgotten as wearable tech will be refined, optimised and expanded into new product markets. CIOs would be prudent to prepare for the inevitable new and evolving trends and consumer expectations in the wearables space, and the Internet of Things (IoT) at large. “CIOs need to understand which wearable devices and platforms are, or will be, most important to their customers. Don’t just hear about a new platform or wearable, and just go for it. You need to look at your high value customers, determine what will be best for them, then build a roadmap to implementation,” said Leow.